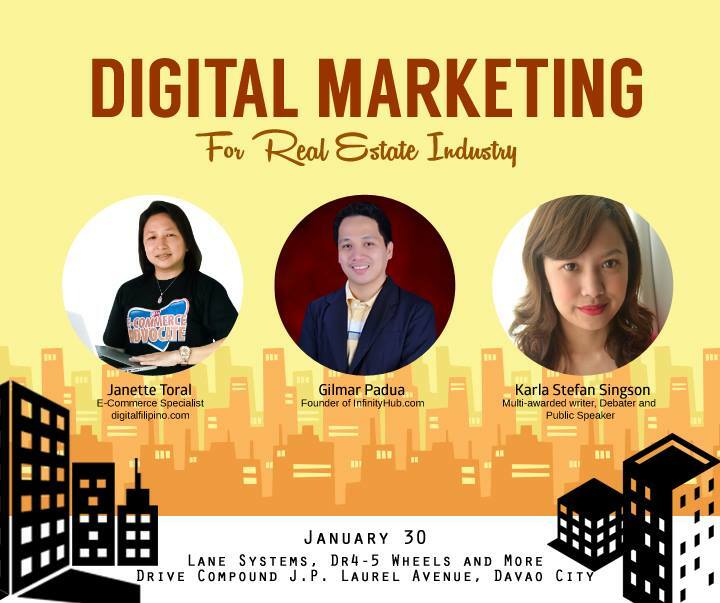 This learning program will be conducted with Karla Singson (PREP Davao) and Gilmar Padua (Infinity Hub). Aspiring and current real estate service practitioners (licensed broker, appraiser, consultant or salesperson). Real estate developers trying to build a database that services external customers and internal agents. Those who would like to build a site with a bigger database back-end meant for external customers and internal agents. The EARLY BIRD fee for this training is P2,500; it shall apply from January 17 to January 29, 2015. Walk-in registration rate is P3,000. Note that PREP-KSS Events and Promotions will issue an official receipt to recognize your payment on January 30, 2015. For inquiries about this boot camp, contact Janette Toral at 0917-4490011. For Davao-based inquiries, contact Karla Singson at 0933-9734990.